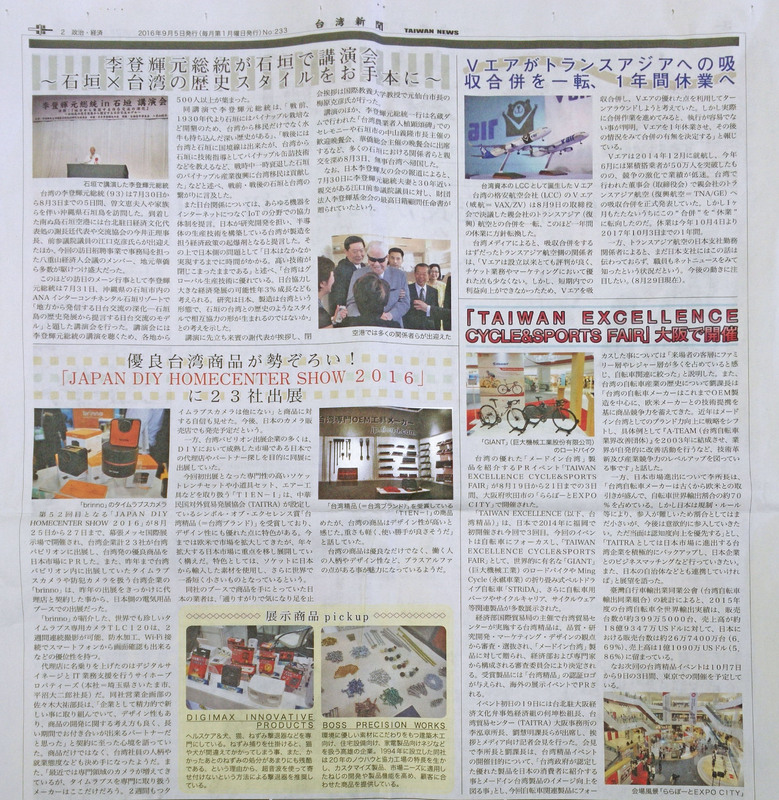 It is great honor to be interviewed by Japan Media (台湾ニュース) in 2016 Tokyo DIY Hand Tool Exhibtion. On the scene, the reporter have personally experienced Tien-I Turbo Speed T-handle which can help mechanic do their daily job much easily and time-saving. Tien-I Turbo T-Handle have also won the Taiwan Excellence Award in 2016. Tien-I have focus on reasearch and development for decade. Welcome contact Tien-I sales Team for customziation tool inquiry.